A lot of hard work behind the scenes came to fruition earlier in the month, as the Legends Ice Hockey game between Durham Wasps and Whitley Warriors took place. 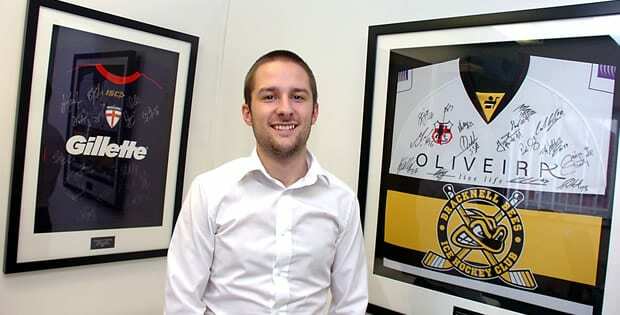 Professional hockey in the north east has seen a demise in recent years, with JDG Media client Newcastle Vipers withdrawing from the Elite League at the end of the 2010/11 season. The north east is widely regarded as a hot bed of hockey, and that was in evidence as just shy of 2500 people turned up at the Whitley Bay ice rink to watch some of their old favourites go head to head. The team behind the concept are hoping to rekindle interest in ice hockey in the reason, with the view to bringing back the Vipers in the not too distant future.